We are spoiled for life now. 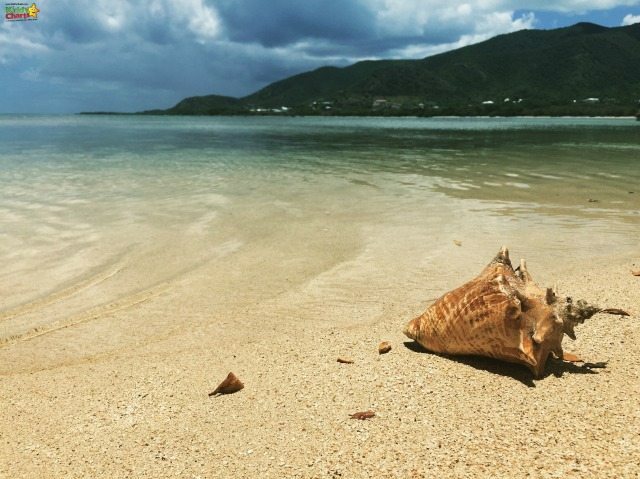 Beaches will never be the same again after experiencing what Antigua has to offer. It is hot all the year round; you just need to mind the rainy season, and expect showers or even storms from June to November. The rains do get worse September onwards, so its best to stick to the summer months if you can. The very best time to visit is during Carnival, which is at the end of July and early August, but you will still have a ball if you don’t make it then. Tropical Sky offer some great packages (including Virgin Atlantic Flights), and an all inclusive resort, such as the Verandah Resort and Spa, is a good place to base yourself. It isn’t all about the beach though, there is much more to the island than beautiful, unspoilt and wonderful peaceful stretches of sand. If you can afford to, we would recommend either taking advantage of daily rental for cars ($60 in our resort per day), or hiring a car for the week. There is enough to do around the island for you to want to be able to get out and explore beyond the few beaches on or near your resort. 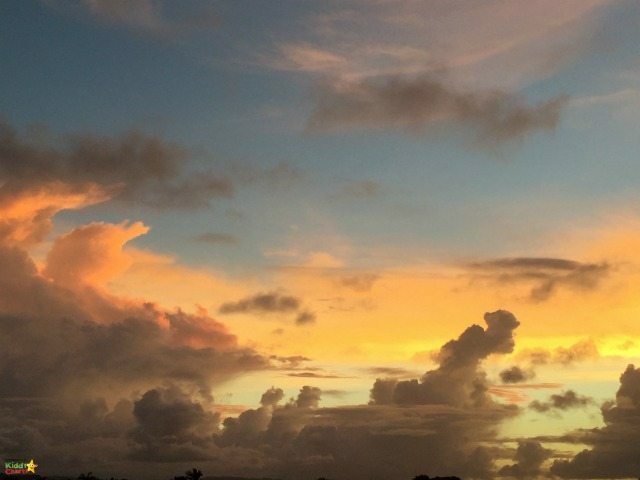 Who wouldn’t want to go to a place where you can get sunsets like this from your balcony? But what CAN you do on Antigua then? There are some that have commented that this reef is dying, but we saw no evidence that this was causing a problem for the quality of snorkelling there. The reef must be reached by boat from Cades Bay, and you will probably need a tour to gain access to it, but its worth every single penny. Stunning, and worth more than one trip if you can. Watch out for Mount Obama too when you visit, you can see this from the bay. Locals call it Buggy Peak. South Coast Horizons do a tour here. Donkeys used to be a major problem on the island, as people used them for labour, but then let them lose. In particular, they caused road traffic accidents for those living on the island. Bethesda was created to give these animals a place to go, and has become a tourist attraction in its own right. It is free to enter, so why not give the Donkeys a petting? Antigua used to be a major producer for Sugar, and has a fascinating history as a result. Betty’s Hope has a old sugar plantation and museum, which is a most to see when you come. We would all do well to remember the slave trade, so we continue to combat it worldwide today. On the East of the island, this is a stunning natural rock formation which has an interesting history. Be careful you don’t get too close to the edge though…. Despite its name, this is a wonderful place to sit and watch the natural power of the sea. It even captivates the young, as well as the young at heart. English Harbour and Nelson’s Dockyard are gems. A restored, and still working Georgian dockyard is a stunning place to see Antigua at its best. Beautiful blue sea, hard-working men and women, and stunning boats moored in the harbour. Take a little extra time, and walk around to the forts on the headline for an unspoilt view and a special treat. Montserrat is a Volcanic island, and exclusive, with beautiful beaches that even Princess Diana found enticing. 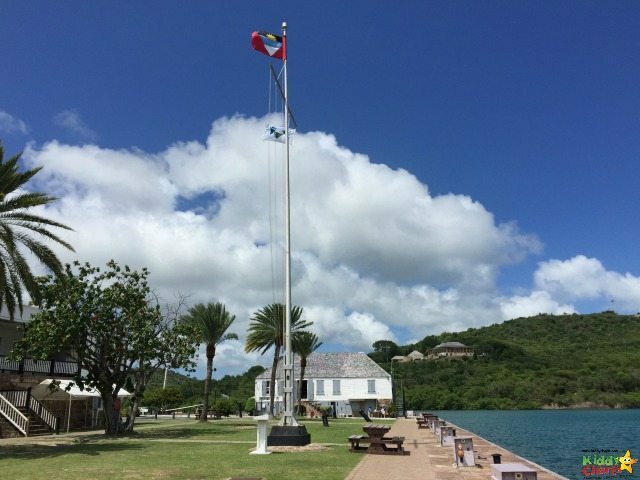 It is worth a visit on a tour if you can manage to stretch your budget, perhaps also taking in Barbuda and some of the other surrounding islands, including Bird Island, and Green Island. The later are popular for snorkelling. If you are looking for a real taste of the Caribbean, then this is a must for you. Shirley Heights is an old military lookout and gun battery that has been restored and turned into a place to see the island and have fun. It offers wonderful views of Falmouth and English Harbour. Most importantly though, on Sunday nights, there is a barbecue and a steel band (4-7pm), or reggae playing (7-10pm). 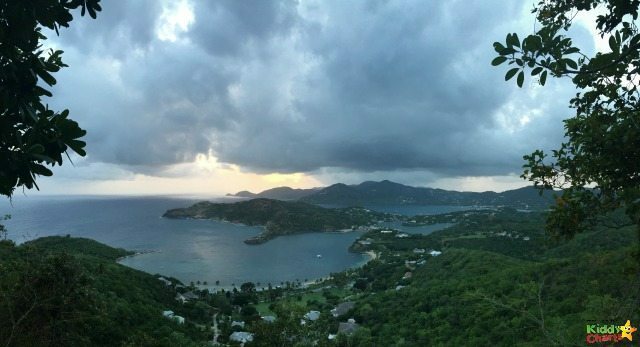 It’s a wonderful place to watch the sunset and soak up the Caribbean atmosphere. If you only have the money for one tour, this is it. A once in a life time experience of handling, and seeing, so many beautiful Stingrays in their natural habitat. The kids, and the adults were captivated. Spend time away from the crowds and you will be rewarded. Tropical Adventures provide a tour here. Oh, and you have to shuffle, otherwise you’ll walk on the Stingrays. And the one thing that you DON’T want to do on the island? Make sure you don’t collect the gigantic Conch shells from the local beach and then put them in your hand luggage. They WILL get confiscated at customs because they are sharp and could easily be used as a weapon. It really is amazing how easy it is to turn a conch shell into a makeshift knuckleduster. Trust me and my family. Let me know if you go to Antigua, and what you think of it, and if you tried any of these places. We’d love to hear your thoughts as well. We were given a press discount for travelling to Antigua with Tropical Sky and Virgin Atlantic; all opinions are our own. It sadly took me a little while to cotton on that you weren’t talking about antigua in Guatemala! Both great places by the looks! Glad there is so much for kids to get out and do because we are big kids at heart!